Visit the main historic regions of Romania on this Transylvania Maramures and Bucovina Tour. 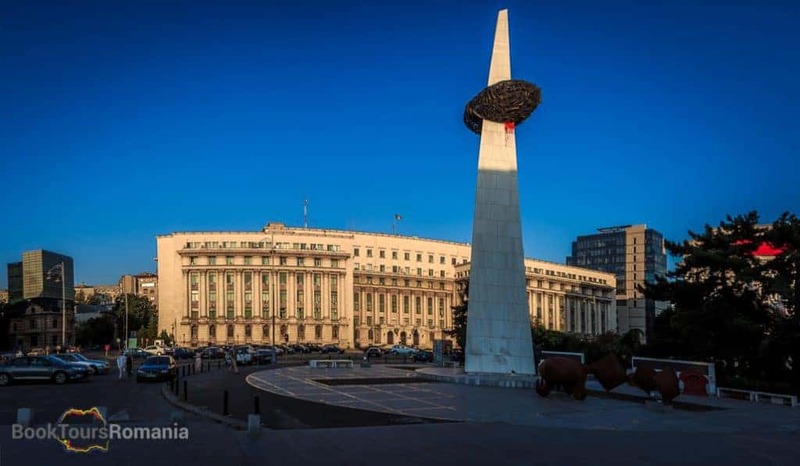 This 12 day Romania tour begins in Bucharest and it will take you to the most important tourist attractions of the country. You will see the UNESCO World Heritage sites like the Wooden churches of Maramures, the painted monasteries of Bucovina and the fortified churches in Transylvania. Experience the delightful cuisine in the homes of the local people and sleep in memorable locations right in the heart of the medieval towns. 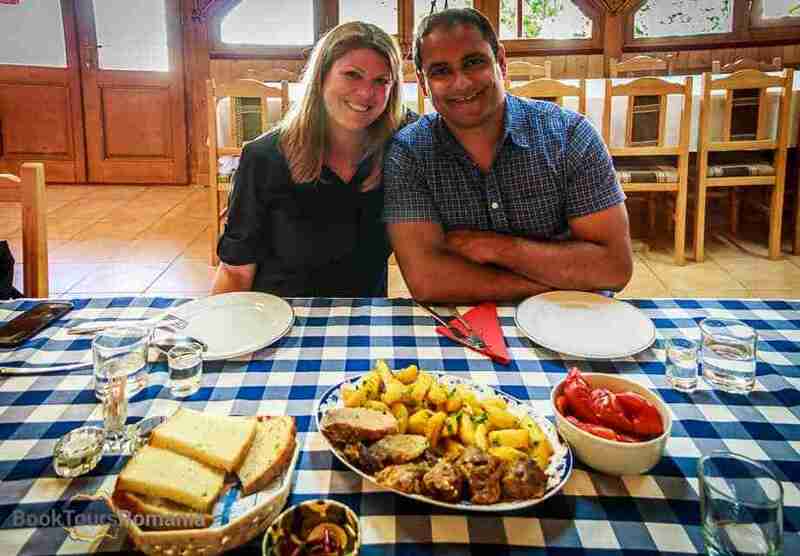 Book this Transylvania Maramures and Bucovina Tour for the best experience in Romania! Next, you will attend a visit to the former residence of Nicolae Ceausescu, the last communist leader of the Socialist Republic of Romania. The Primaverii Palace was built in the middle of the 1960’s, owned by the Ceausescu family until 1989. It is open to the public since 2016. Now, we will move to a different “age” of the city developed from late 19th century until the beginning of the Second World War. Due to the new buildings in the city erected in this time, Bucharest gained its nickname as The Little Paris. After breakfast, you will head to the famous region of Transylvania. Passing by the Olt River Valley, you will stop in Călimănești to visit a 14th century monastery. Over time Cozia Monastery was considered a strong outbreak of the Romanian culture. After 4 hours drive you will get to Sibiel village situated at the foothills of the mountains and here you will encounter a family for a home hosted dinner. Later in the evening you will get to Sibiu town and after you will get accommodated, evening will be at your leisure. After breakfast your guide will organize for you a short walking tour visiting the Big and Small Squares, the Liar’s Bridge, and the Lutheran Cathedral, where Mihnea the Mean, Vlad’s son is buried. You will say goodbye to our lovely town of Sibiu and follow the road west towards Hunedoara city. 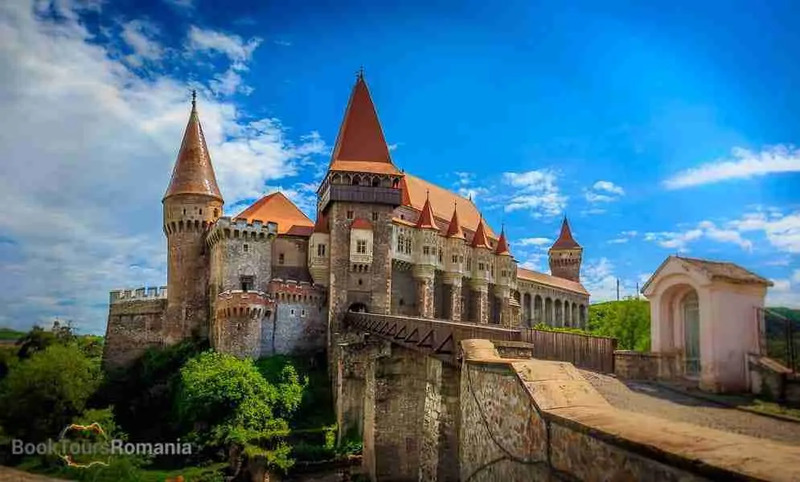 In the afternoon you will stop to visit the famous Corvin Castle an amazing well preserved medieval castle in Transylvania. Later you will arrive to Alba Iulia and visit the citadel to find out more about the history of Romanians since the ancient times to the present days. Alba Iulia is a town with a great importance for the Romanian people, mainly because here on the 1st of December 1918 was signed the document of Unification of Transylvania with the Kingdom of Romania. In the evening you will reach Cluj Napoca city and after you will get accommodated, evening will be at your leisure. After breakfast your guide will organize for you a walking tour of the city visiting the famous Union Square which displays a mix of multiple architectural styles and the Fortress Hill the place to be if you want to see the view over the city and its surroundings. Later in order to reach Maramureş region you will have a 3 hours drive admiring the Transylvanian landscape. Today you will enjoy the landscapes and wooden churches of this amazing region, included on the UNESCO World Heritage List. 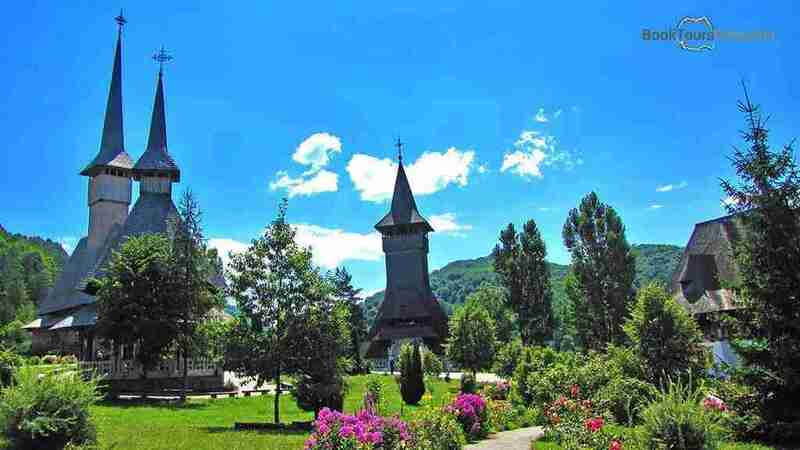 First you will get to Şurdeşti village to admire the tallest wooden church in Europe and then you will follow the road to Săpânţa to visit the famous and unique Merry Cemetery. 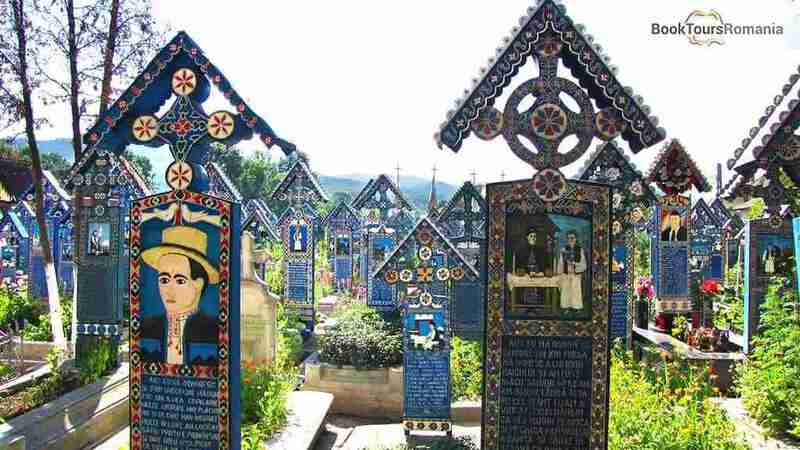 Here you will see the beautiful blue carved wooden crosses and poems that say something about the life and character of the dead. Here also in the surroundings of the Merry Cemetery you will visit the tall Peri wooden church, situated in a small forest. In the evening you will enjoy the tasty local cuisine and the local alcoholic beverage. Evening will be at your leisure. Depending on the availability you will be accommodated in guesthouse located in the Vadu Izei area in a double room with dinner and breakfast included. After serving breakfast you will head to Sighetu Marmatiei city and there you will visit the Memorial of the Victims of Communism and of the Resistance. Later on you will reach Bârsana where you will get to see probably the most beautiful and impressive wooden church in Maramureş and after that you will go for a visit to the Ieud wooden church, the oldest church in Maramureş which dates back to 1391. Afterwards you will reach Viseu de Sus region and here you will spend the night. In the evening you will enjoy the tasty local cuisine and the local alcoholic beverage. Evening will be at your leisure. Depending on the availability you will be accommodated in guesthouse located in the Viseu de Sus area in a double room with dinner and breakfast included. 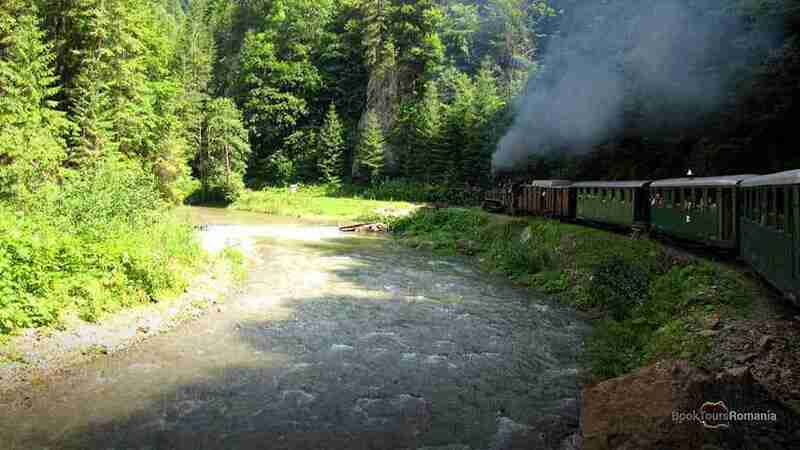 In the morning you will go for an amazing adventure, you will have a half day ride on the narrow gauge railway with a steam powered train engine. This train is known as “Mocanița” loved both by the tourists and the rail enthusiasts. For 6 hours during this trip you will enjoy the beauty and the wilderness of the northern Romanian Carpathian Mountains. In order to reach Bucovina region you will have a 3 hours drive admiring the Maramures and Rodnei Mountains. In the evening you will reach Gura Humorului and the evening will be at your leisure. 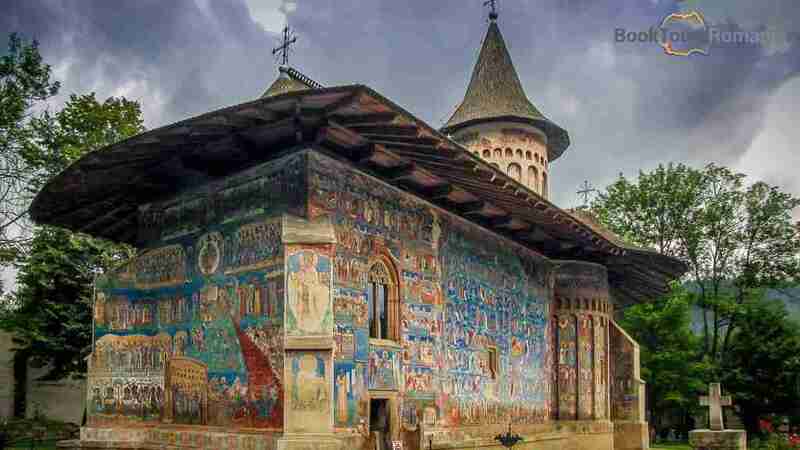 This day is dedicated to visit some of the most important Painted Monasteries of Bucovina. We will start our day, by visiting the Voronet Monastery, considered by many experts to be the core of the Moldavian architectural style, combining Byzantine and Gothic elements. The tour continues with Moldovita Monastery which was founded in 1532 with thick walls and defensive towers just like a fortress. Next you will visit the Sucevita Monastery which is the best preserved Moldavian painted church with exterior painting. Along our way to Gura Humorului, we will have a stop at Marginea Pottery Workshop famous all over the world for the black ceramics. You will arrive in the late afternoon at Gura Humorului and spend the rest of your day at leisure. After breakfast we will visit the Bucovina Folk Customs Museum. Take an imaginary journey through the most important annual events of a nineteenth century peasant from Bucovina. You will leave Bucovina and you will have a 5 hours drive towards Sighişoara but on the way stop to admire the beauty of the nature at the Red Lake, formed by a mountain slide in the 1830’s and then stop at Bicaz Gorges, one of the most fascinating natural parks of the eastern Carpathians. Developed on a hill, Sighișoara citadel lies in the heart of Transylvania and is included in the UNESCO World Heritage List. It was founded by German craftsmen and merchants and represents a splendid example of a small fortified medieval town, with both strategic and commercial role. After you will get accommodated the evening will be at your leisure. After breakfast your guide will offer you a guided walking tour you will visit the Citadel’s Square, the Clock Tower, the Scholars’ Stairs. You will also see, probably the most famous house from Sighișoara, Dracula’s birth house. Sighișoara is the place where in 1431 Vlad the Impaler was born. Head to Viscri, a pretty small remote village known due to the great job in restoring done by a foundation sponsored by Prince Charles of Wales.Here you will visit the fortified church of the village designated as UNESCO World Heritage Site. Later on you will reach Brașov where you will have a walking tour of the old city. 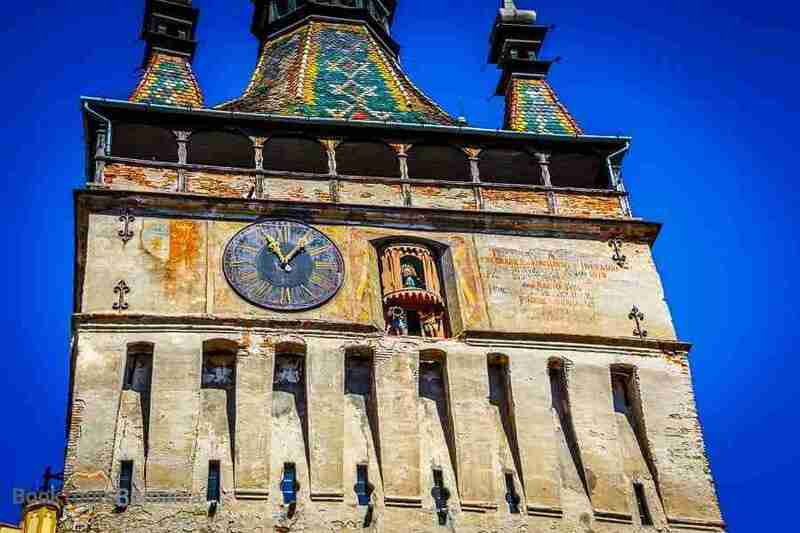 You will see the famous landmarks of Brașov, by visiting the Black Church, the largest Gothic church between Istanbul and Vienna, with a bell weighting six tons, the biggest in Romania and an impressive pipe organ with 4000 pipes. The rest of the tour includes the Council Square, Rope Street – one of the narrowest streets in the world, Catherine’s Gate – the only original city gate to have survived from medieval times, the Black Tower, the White Tower. In the morning you will visit the famous Bran Castle also known as the Dracula Castle. Later you will depart south to Sinaia, one of the famous Carpathian Mountains resorts. 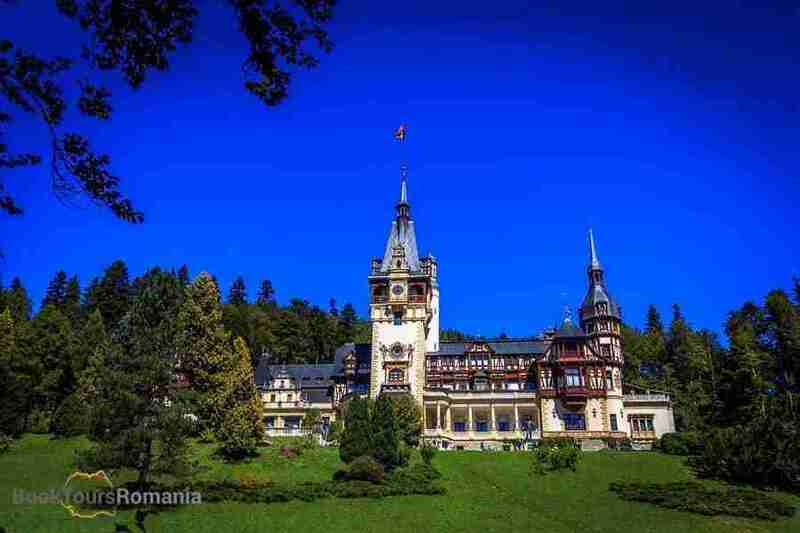 Here you will visit the royal residence of King Charles I of Romania, the Peleș Castle and its surroundings. 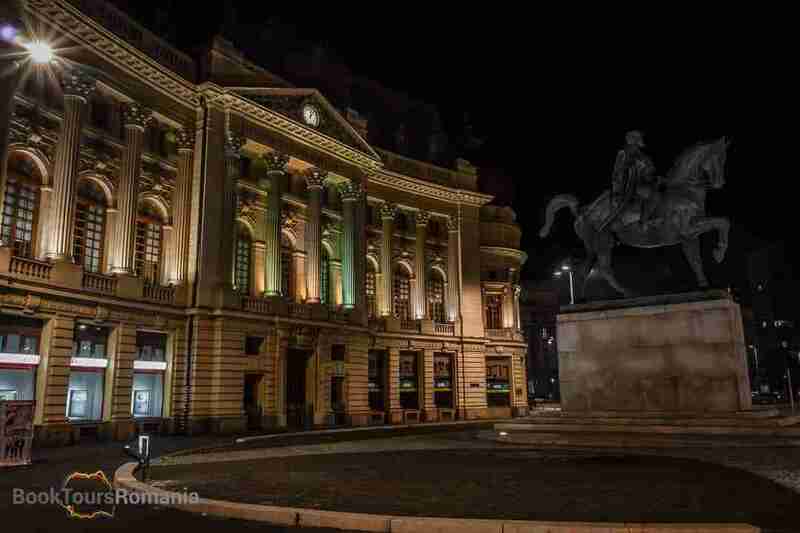 In the late afternoon you will reach Bucharest and your guide will drop you off at your hotel. 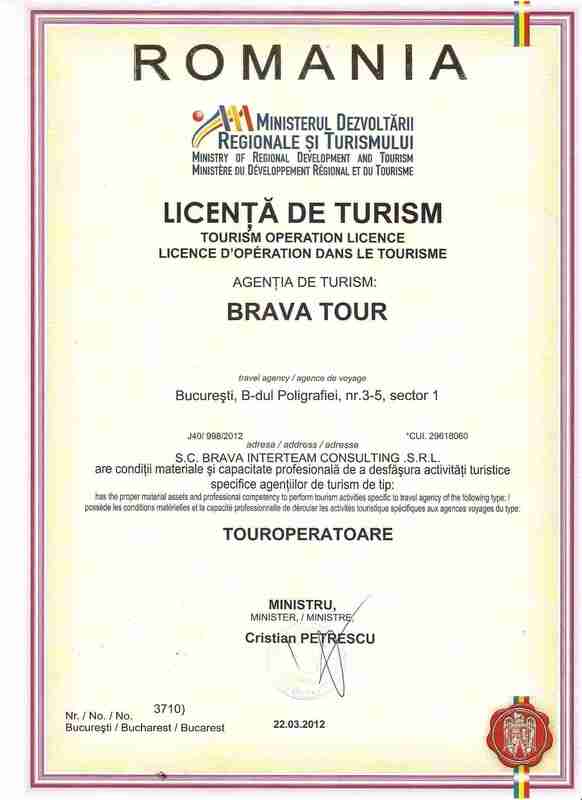 You will be transferred to the airport for your flight, where this great Transylvania Maramures and Bucovina Tour will end. A private tour with us means a special focus on your interests and desires, allowing you to travel in comfort. Therefore, our Transylvania Maramures and Bucovina Tour is very flexible and can be changed according to your availability and requests.